REDUCED. Independence Ranch- Views, View, Views!! Gorgeous Property and Country Lifestyle with end of the road privacy on almost 10 Acres of space! This Beautiful Hilltop Setting Offers Panoramic Views of the Surrounding Rolling Hills. Manufactured Home is on a Permanent Foundation with Open Floorplan Featuring 2 Bedrooms PLUS an Office (could be used as 3rd Bedroom), 2 Bathrooms, 1536 Sq.Ft. Numerous outbuildings & Hitching Posts. There is a Carport, Approx. 45' X 20" Shop with Electrical, and Approx. 10' X 12" shed with chicken coop, Horse Stall. Property is Fenced and Crossed-Fenced for all your Animals and 4H Projects. Tress include Apple, Pistachio, Walnut & Cherry. 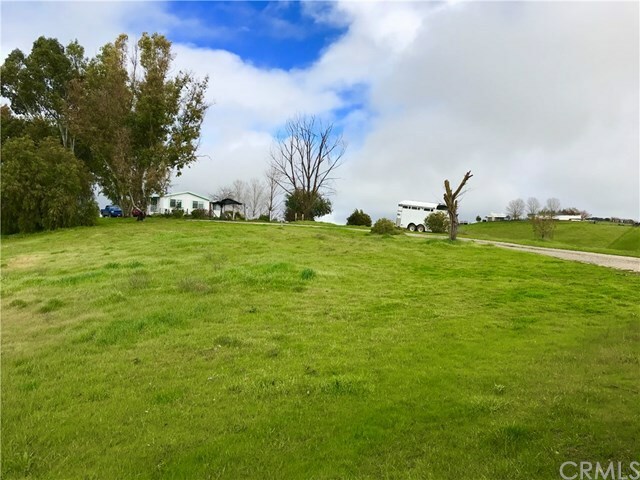 BONUS- Separate RV Area with Septic, Water and Power! !